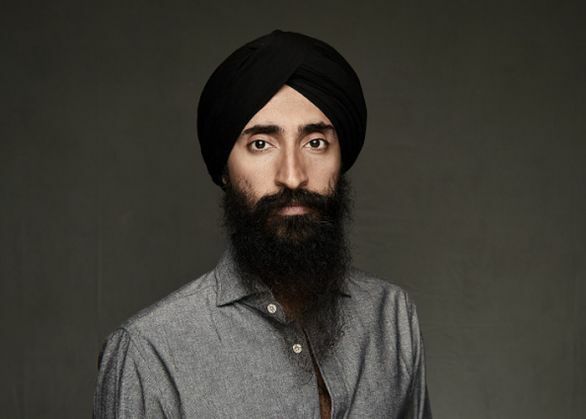 Indian-origin actor, model and designer, Waris Ahluwalia, was denied entry into an Aeromexico plane on 8 February because of his turban. According to Ahluwalia, when he arrived at the gate to board his flight from Mexico City to New York, he was told to step aside. He was then subjected to a very thorough pat down. The airlines has expressed regret for the incident. 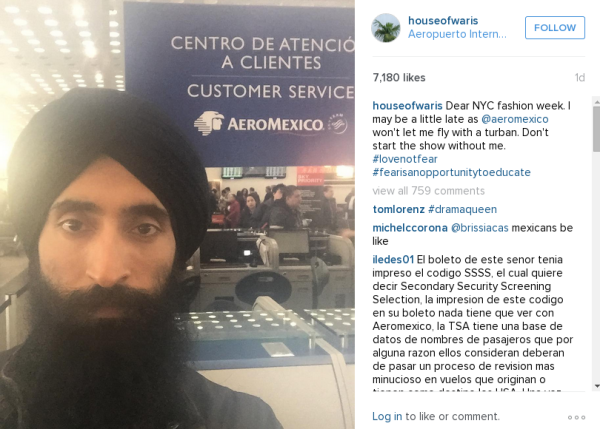 On the morning of 8 February, actor, model, fashion and jewellery designer, and all around 21st century Renaissance man Waris Ahluwalia, was denied entry into an Aeromexico plane because of his turban. According to Ahluwalia, when he arrived at the gate to board his flight from Mexico City to New York, he was told to step aside. He was then subjected to a very thorough pat down. Ahluwalia agreed to it for the sake of necessary security measures, until they asked him to remove his turban. Being a Sikh, Ahluwalia's turban represents commitment and accountability to Sikh Gurus as well as a symbol of being a servant to the diving presence. He stated that the turban was a symbol of his faith, that he always wore it in public, that it's similar to asking someone to get naked, and that he would not take it off. He was then told that he would be denied access to his flight and would have to book another one. The actor then took to social media and posted pictures on Instagram including his boarding pass and another with him in front of an Aeromexico customer service kiosk. In a statement, Aero Mexico said Ahluwalia "was asked to submit to screening and inspection before boarding, in strict compliance with TSA protocol" and that the airline offered him alternatives to fly home. Aero Mexico did not apologise but said, "We sincerely regret any inconvenience caused by this incident." Unfortunately for AeroMexico, Waris Ahluwalia, who has starred in films including Inside Man, The Grand Budapest Hotel and The Darjeeling Limited, as well as the Gap ad campaign Make Love, also happens to be one of the leading Sikh American advocates and social activists. Waris Ahluwalia's incident with Aeromexico simply points to the continued ignorance turban-wearing Sikhs face in the West. It doesn't seem to matter if you're a taxi driver to Ajaypal Singh Banga, the president and CEO of Mastercard, wearing a turban guarantees you a life of frequent humiliation. Whether it be a "random" search by TSA before boarding a flight, vandalism and violent attacks on Gurdwaras such as the attack on Oak Creek Wisconsin killing 6, or the subtle and not so subtle taunts about "wearing a rag", there is a long way to go before respect and protection of freedom of religious expression becomes a way of life.